Assistive technologies can enable disabled people to carry out everyday tasks they would otherwise be unable to do, such as communicating, using a computer, getting around in a powered wheelchair, controlling the television, lights or other household equipment. Augmentative and Alternative Communication (AAC) are a type of assistive technology that enable people who have difficulties communicating, to use other methods to communicate when speaking is difficult. This may be through tools such as a picture or letter chart or may be through technology such as a computer which has a synthesised voice. Compass is our assistive and rehabilitation technology service. The Compass team includes specialists in electronic assistive technology and rehabilitation technology. They work with patients, as well as working with people referred from the community, other hospitals, nursing homes and other settings. 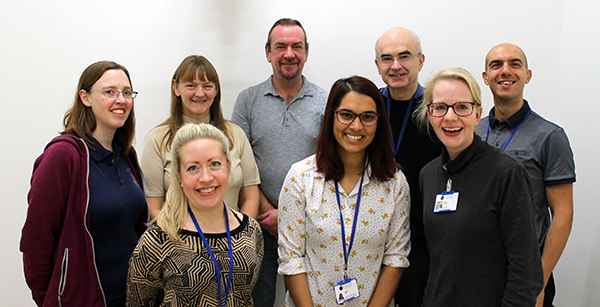 Commissioned by NHS England to be the specialised AAC service for adults in west London, Compass assesses people with complex AAC needs, provides AAC equipment and provides ongoing maintenance and support. It also provides support and training to local community teams who work with AAC. You can refer to our specialised AAC service securely online here. Please use the Chrome browser or Internet Explorer 9 (or later) when using the online referral system. (Internet Explorer 8 or earlier will not work as they are no longer supported by Microsoft – please contact your IT department if you need to update your browser). If you are unable to refer using the online form, please call us on 020 8780 4500 ext: 5965. To find out more about our service, take a look at our service information page, where we explain how assessments work and what criteria people must meet to be eligible for our AAC service. Please note – in order to ensure confidentiality and maintain security, we will no longer be accepting emailed or posted referrals. 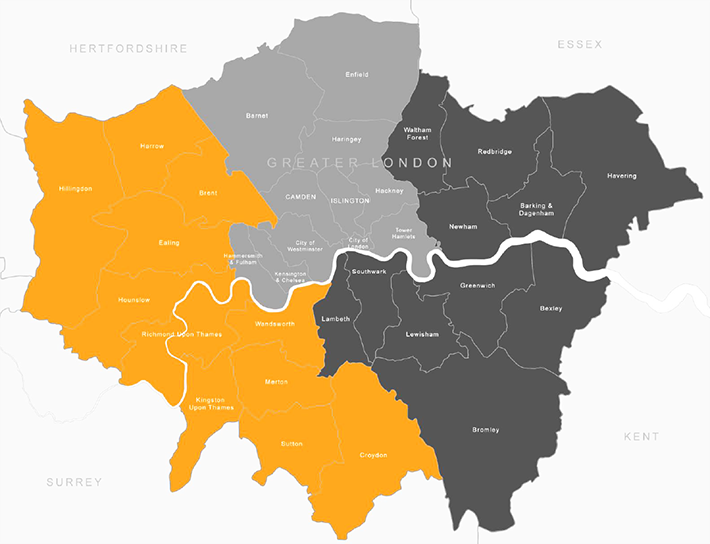 Compass provides specialised AAC services to the following London boroughs (in orange). For contacts and further details, please email compass@rhn.org.uk. To speak to a member of the team, call 020 8780 4500 and ask for them by name or use their extension (given below).